I’ve had the astonishing fortune to fish my way around the globe, seeking the biggest fish, the most challenging catch and the perfect day’s fishing. Each has a unique allure, and each I’ll someday try to get back to. Let me tell you about Nova Scotia – for Giant tuna, it has no rival. While Canada is popular on ‘I’d like to go there someday’ lists, Nova Scotia, in the North East corner of Canada, probably doesn’t get a look in. It doesn’t get the hoards of tourists, postcard snaps of ice capped peaks, the metropolitan vibe of the West Coast, or the deep glacial waterways framed with impossibly perfect spruce forests that look like miles of giant plastic Christmas trees, but it does have the biggest tuna in the world. In fact the smallest tuna we caught (and released) while fishing there was 800lb (360kg), the biggest 1100lb (500kg) and there were plenty of them. 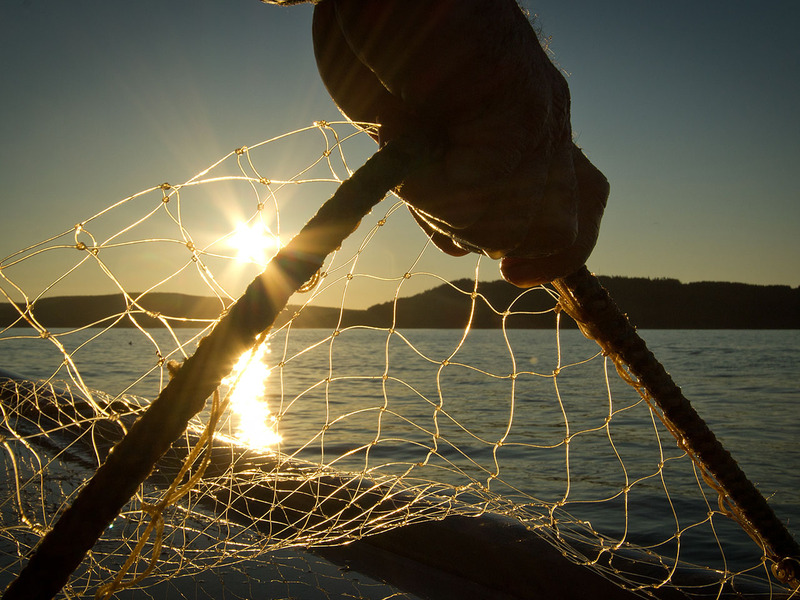 Fishing is one of those things where the potential is limitless… if you have enough time and money. So lets say you have a little money and your dream is to catch a giant bluefin tuna. Well you could catch one off the coast of Ireland, you might catch one first day out if you’re lucky – really, really lucky – but it could take you ten years, if you don’t freeze to death or go broke trying. So why not go where you have the best possible chance of catching a once in a lifetime fish? And if a giant tuna is the dream, the place to go is Nova Scotia. North Atlantic giant bluefin tuna (Thunnus Thynnus) are the largest of all tuna. Their bulk and profile commands admiration, they look powerful, agile and sleek – and they have the muscle to back it up. And talking of muscle, these tuna maintain a body temperature warmer then the surrounding water. So to fuel their rapid growth rate, keep themselves warm and power their muscles (which boost them to speeds of 64kph), they need to eat a lot of fish. The tuna arrive to feed on huge shoals of herring and mackerel that enter the Gulf of St Lawrence and move up into the shallow waters of the Northumberland Strait. These shoals and the feast they create are a spectacle in themselves. Birds, whales, seals, dolphins and dozens of fishing boats all cash in on the herring coming in to spawn – it’s those eggs in their bellies (roe) that the fishermen want. There’s a market for herring roe in Europe, and I ate some fresh from the gut of a herring, and I can see why – it’s delicious! But the best thing about the herring is they bring in the bluefin tuna, the most prized and valuable eating fish in the world. So why haven’t they all been caught and sold in the fish markets of Japan? Well that’s because Canadian fisheries have managed this fishery superbly, bringing it back from the brink of collapse by introducing strict limits of one per boat, per year, but at the same time promoting the catch and release sport fishery so the local fishermen can maintain a living. And not only are the tuna stocks booming, so are the fishermen and the economy that has been built around the visiting anglers. The only down side is you don’t get to eat your catch, but that’s more than made up for by the bountiful supply of lobsters our hosts served up while we were fishing…. we also ate home-made moose stew, now you don’t get that in the Vancouver cafes. 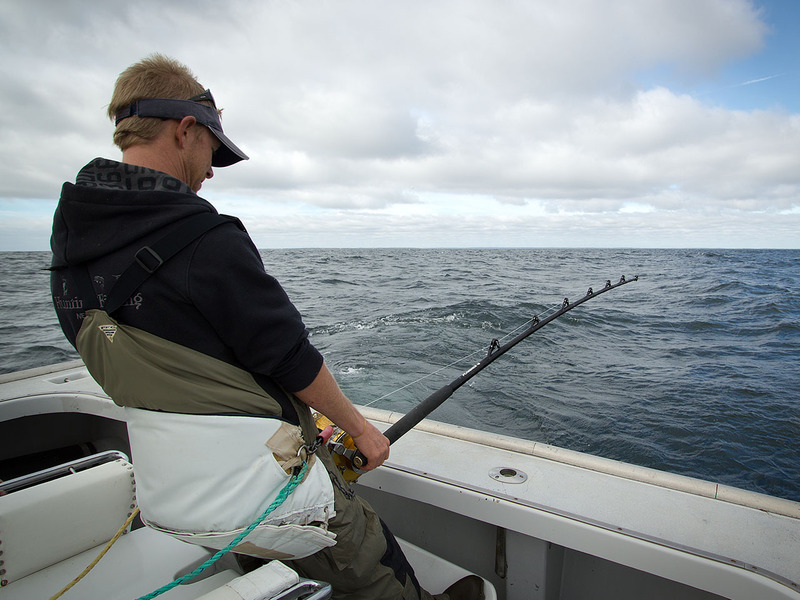 P.E.I is the epicenter of this fishery, by virtue that it’s closest to the fishing grounds, but there are several other ports where you can set out from. We fished out from Ballantynes Cove on the mainland, a perfect little fishing port full of lobster boats, all neatly stacked in every available berth. We stayed just up the road from the port (it was haunted, but I won’t go into that) and we got supplies from the nearest town, Antigonish. I didn’t pay much attention to what was there, but I did spark up a conversation with a fella wearing an All Blacks jersey, turns out he was a student studying at University in Antigonish, and apparently it’s a good one….so apparently I wasn’t as far from civilisation as I felt. The boats are unmistakably fishing boats and all the men are unmistakably fishermen. If the beards, boots and wet weather gear don’t give them away, you just have to listen, they talk about fishing, and only fishing – it’s fantastic! These blokes aren’t opportunistic tourist operators either; they’re mostly multi-generational fishermen. In the autumn and spring they fish for the market, mostly lobster. But come summer, the lobster pots and nets are set aside and replaced with a game fishing chair and heavy tackle – the heaviest tackle I’ve ever seen. The rods were as thick as broomsticks and the reels were spooled with 200lb line.